We examine the relaxion mechanism in string theory. An essential feature is that an axion winds over N ≫ 1 fundamental periods. In string theory realizations via axion monodromy, this winding number corresponds to a physical charge carried by branes or fluxes. We show that — in the context of NS5-brane axion monodromy — this charge backreacts on the compact space, ruining the structure of the relaxion action. In particular, the barriers generated by strong gauge dynamics have height ∝ e−N , so the relaxion does not stop when the Higgs acquires a vev. Backreaction of monodromy charge can therefore spoil the relaxion mechanism. We comment on the limitations of technical naturalness arguments in this context. S. Di Chiara et al., Relaxion cosmology and the price of fine-tuning, Phys. Rev. D 93 (2016) 103527 [arXiv:1511.02858] [INSPIRE]. T. Kobayashi, O. Seto, T. Shimomura and Y. Urakawa, Relaxion window, Mod. Phys. Lett. A 32 (2017) 1750142 [arXiv:1605.06908] [INSPIRE]. N. Kaloper and A. Lawrence, London equation for monodromy inflation, Phys. Rev. D 95 (2017) 063526 [arXiv:1607.06105] [INSPIRE]. N. Kaloper, M. Kleban, A. Lawrence and M.S. Sloth, Large field inflation and gravitational entropy, Phys. Rev. D 93 (2016) 043510 [arXiv:1511.05119] [INSPIRE]. N. Fonseca, L. de Lima, C.S. Machado and R.D. Matheus, Large field excursions from a few site relaxion model, Phys. Rev. D 94 (2016) 015010 [arXiv:1601.07183] [INSPIRE]. L. McAllister, E. Silverstein and A. Westphal, Gravity waves and linear inflation from axion monodromy, Phys. Rev. D 82 (2010) 046003 [arXiv:0808.0706] [INSPIRE]. E. Silverstein and A. Westphal, Monodromy in the CMB: gravity waves and string inflation, Phys. Rev. D 78 (2008) 106003 [arXiv:0803.3085] [INSPIRE]. 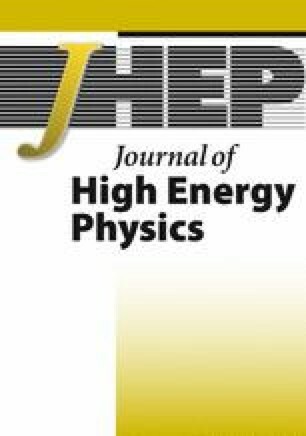 M. Aganagic, C. Beem, J. Seo and C. Vafa, Geometrically induced metastability and Holography, Nucl. Phys. B 789 (2008) 382 [hep-th/0610249] [INSPIRE]. A. Klemm, B. Lian, S.S. Roan and S.-T. Yau, Calabi-Yau fourfolds for M-theory and F-theory compactifications, Nucl. Phys. B 518 (1998) 515 [hep-th/9701023] [INSPIRE]. J.E. Kim, H.P. Nilles and M. Peloso, Completing natural inflation, JCAP 01 (2005) 005 [hep-ph/0409138] [INSPIRE]. T.C. Bachlechner, M. Dias, J. Frazer and L. McAllister, Chaotic inflation with kinetic alignment of axion fields, Phys. Rev. D 91 (2015) 023520 [arXiv:1404.7496] [INSPIRE]. D.E. Kaplan and R. Rattazzi, Large field excursions and approximate discrete symmetries from a clockwork axion, Phys. Rev. D 93 (2016) 085007 [arXiv:1511.01827] [INSPIRE]. K. Choi, H. Kim and S. Yun, Natural inflation with multiple sub-Planckian axions, Phys. Rev. D 90 (2014) 023545 [arXiv:1404.6209] [INSPIRE]. C. Cheung and G.N. Remmen, Naturalness and the weak gravity conjecture, Phys. Rev. Lett. 113 (2014) 051601 [arXiv:1402.2287] [INSPIRE]. P. Saraswat, Weak gravity conjecture and effective field theory, Phys. Rev. D 95 (2017) 025013 [arXiv:1608.06951] [INSPIRE].